Looking for a simple, flexible, effective way to mark World Diabetes Day 2018? 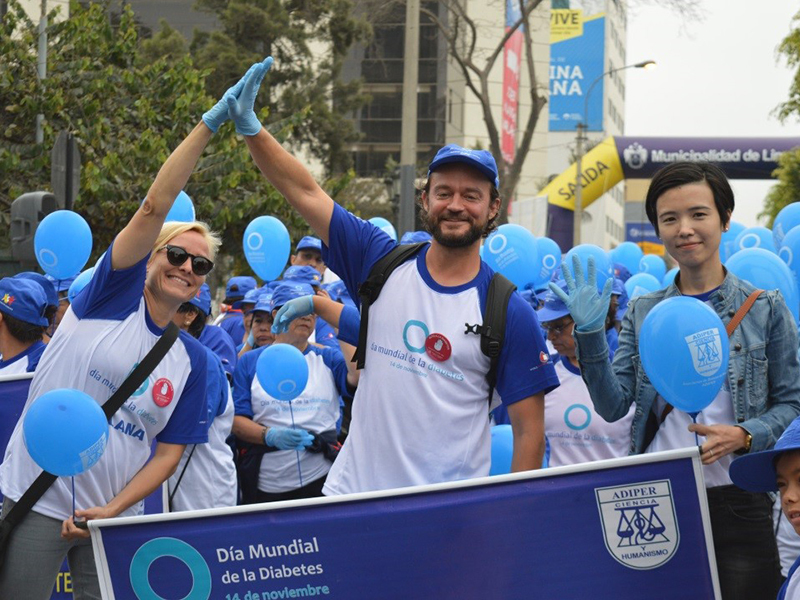 Organise a Global Diabetes Walk – and join the vibrant global campaign. The Global Diabetes Walk is the World Diabetes Foundation’s contribution to IDF’s annual World Diabetes Day campaign. Since 2004, more than four million people have participated in walks on November 14, raising awareness and encouraging more people to take steps to prevent type 2 diabetes. Regular exercise and a healthy diet helps keep blood glucose stable, reduces the risk of developing other noncommunicable diseases such as cardiovascular disease, and improves overall well-being. Diabetes is one of the largest global health emergencies of the 21st century. Each year an increasing number of people develop the condition, which if left untreated or poorly managed can lead to life-threatening complications and early mortality. Today, more than 425 million people have diabetes. By 2045, the total number of people living with diabetes could rise to 629 million. More than three-quarters of all people with diabetes live in low- and middle-income countries, making diabetes education and awareness vital to helping these communities stay healthy. The World Diabetes Foundation (WDF) was created in March, 2002, with an ambitious vision: To further the prevention and treatment of diabetes and its complications in developing countries. The WDF forms partnerships with global, regional and local groups with expertise in diabetes, acting as a catalyst to help others do more. Everyone is welcome to organise and participate in Global Diabetes Walks. They can easily be integrated into World Diabetes Day campaigns to support and complement other awareness activities. To participate – visit See Who Walks to find a Walk near you. To organise – visit Organise your Walk and Promote your Walk for tips, and visit Toolbox’ for free downloadable materials in three languages (English, French and Spanish). To register – visit Register, and make sure your Walk is visible and counted. To share photos, film, comments and insights – contact us on Twitter (@WorldDiabetesF) or Facebook (Global Diabetes Walk) by tagging us directly or by using this year’s hashtag #GDW18. For more information, visit the Global Diabetes Walk website, or contact WDF Walk Campaign Manager Anna Knauer Elley.